Today’s article comes from guest author Megan Shen, Ph.D.
A recent JAMA editorial critiqued shortcomings present in Accountable Care Organizations (ACOs) with regards to improving the quality of health care, but pointed to technology, big data, and analytics as providing possible solutions. The editorial, contrasting a more positive take on ACOs, references a recent study published by JAMA, which analyzed data from nearly 3,000 physicians to explore ways technology fosters improved quality of care. For instance, improving electronic medical records (EMRs) to support providers’ clinical services, utilizing big data to analyze the role of patient information on improving patient-related outcomes, and identifying at risk patients through pre-existing data all led to improvements in quality of care. Results from this study highlight an opportunity to improve healthcare delivery in the U.S. through the adoption of technological advances and data/analytics. By applying best practices from the tech industry, physicians could provide better and more targeted care, inform healthcare systems of the most impactful areas to prioritize attention, to identify patients most at risk and in need of care, and to reduce expensive healthcare costs such as unnecessary hospital readmissions. The Affordable Care Act introduced ACOs in 2009 — the spiritual successor to the Health Maintenance Organization (HMO) — which represent a major change in how healthcare systems are reimbursed for the care they provide. Their introduction represented a shift in bureaucratic philosophy from a procedure-based fee-for-service model that rewards high-cost medical care (sometimes known as the “heads-in-beds” mentality) to a system that, ideally, rewards better quality of care. ACOs are designed to reduce the rising costs of healthcare by offering providers incentives tied to the outcomes of the patients they treat. Despite two decades spent trying to popularize this value-based payment system, both Medicare and overall healthcare spending continue to rise, according to a 2012 report from the Congressional Budget Office. This improvement in quality of care is critical, in part, due to the high costs the U.S. spends on healthcare that are not necessarily associated with better outcomes for patients. For instance, a recent review by Hussey and colleagues (2013) across 61 empirical studies found no concrete evidence of a positive association between healthcare costs and quality of care. 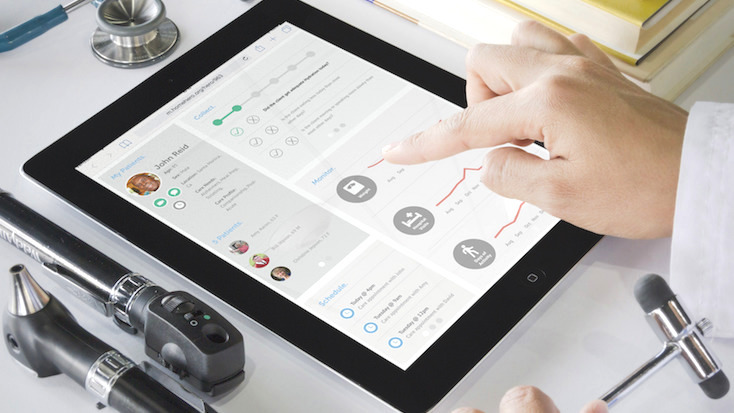 Not only can technology be used within hospital systems to improve quality of care, but developments in mobile technology are providing new opportunities to improve at home care for patients as well. For instance, the ability to monitor patients at home remotely and to track and report their symptoms (e.g., pain, changes in eating or drinking, mobility issues) now allows for improved coordination of care at home — a new, burgeoning extension of post-acute care. Web-based systems also allow for medications and groceries to be delivered at home easily for more vulnerable populations, such as the elderly. The combination of mobile, online, and EMR technologies can help coordinate care across ACOs and help bolster population health through data collected in the home. These technologies help make home care a cost-effective and innovative extension of the healthcare continuum. Megan Shen, PhD is an Assistant Professor of Psychology in Medicine at Weill Cornell Medicine. Her NIH-funded research focuses on health communication, health decision-making, and psychosocial effects on these outcomes. Housed within the Division of Geriatrics and Palliative Medicine, much of her work focuses on serving patients with advanced illness, older adults, and those with chronic illness. She is also a freelance writer and consultant.